Entries open for Fine Food NZ Innovation Awards! Northport Events CEO, Donna White with the Williams Warn team and judges at the Innovation Awards in 2016. Have you recently launched a breakthrough product or service in the food, beverage, food service or hospitality industries? Show it off and stand a chance of winning one of the coveted Fine Food New Zealand Innovation Awards. Entries are now open, offering exhibitors that have achieved breakthroughs, made new advancements and/or demonstrated genuine innovation an opportunity to take a title in one of the three award categories. Event manager Lorraine Smith notes many of the 300+ exhibitors launch new products and services at the show, and the Innovation Awards provide the ideal opportunity to showcase new developments and gain industry recognition. “The Innovation Awards are the benchmark for excellence in the food, beverage, foodservice and hospitality industries. We apply the highest standards to ensure the quality of the competition, with winners enjoying widespread acclaim as well as a valuable prize pack,” she says. Products designed for retail outlets, including packaging, technology and equipment, food and beverage products for consumer purchase, plus shop fittings, display equipment and point of sale. Bulk food or beverages available in catering packs, designed for use in food preparation including hygiene or packaging products for caterers, deli, restaurants, takeaways, hospitals, cafes, bars, canteens, etc. 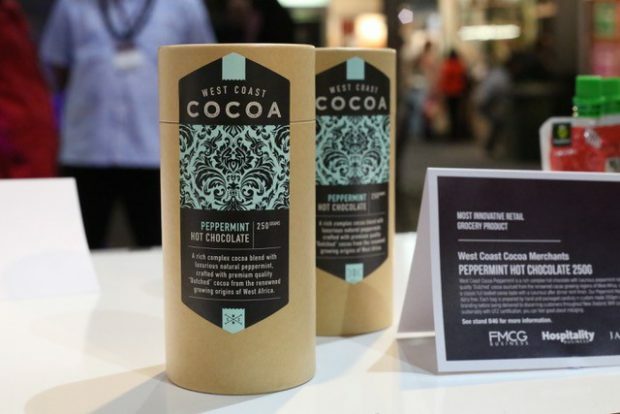 The overall winner of the Fine Food New Zealand Innovation Awards. Products or services qualifying for an entry into the awards must have been launched between 1 January 2017 and 24 June 2018. 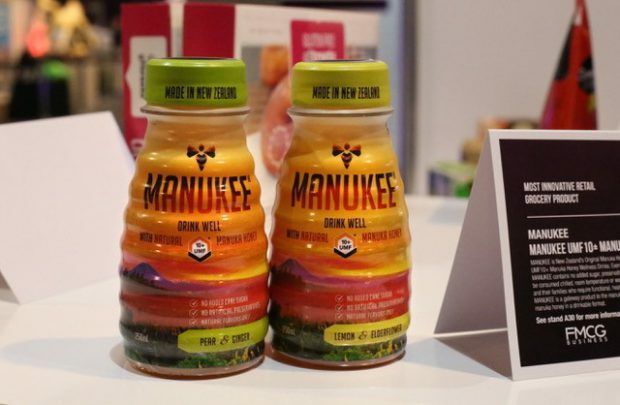 Winner of the 2016 Most Innovative Retail Grocery Product award, Manukee Honey’s York Spencer says he would certainly encourage other exhibitors to make the most of it. “We won a $5000 ad package out of FMCG magazine and that gave us an introduction to key grocery retailers, who are a target channel for us,” he says. Prizes include media packages with Intermedia Group New Zealand, promotion through the Fine Food New Zealand website, social media and newsletters. Each winner also receives a unique award trophy and certificate. Every product entry will be displayed within the Innovation Showcase, located at the foyer entrance of the show to maximise delegate attention; any exhibitor can enter one or multiple products, in any of the categories. The Innovation Award winners will be announced at the Innovation Awards ceremony on Sunday 24 June at the show. Entries close on 1 June 2018. For more information or to enter, visit https://www.finefoodnz.co.nz/whats-on/auckland-2018/zones/fine-food-2018-innovation-awards/ or email awards@finefoodnz.co.nz.